Garbage In, Gospel Out: Rolling Stones at Reason Rally? Rolling Stones at Reason Rally? The Stones were at the Reason Rally? How cool is that! Wait. Oh, never mind. I wasn't reading it right. 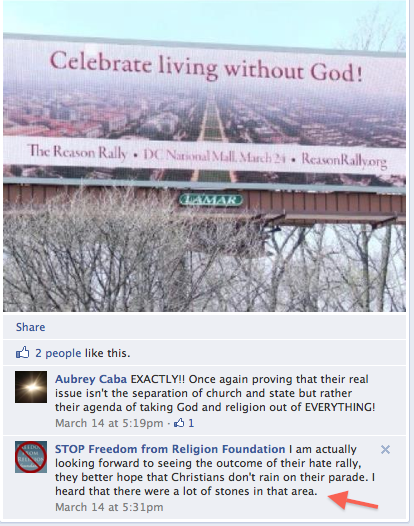 From this post by the persecuted folks at the STOP Freedom from Religion Foundation Facebook page.